The first presentation from the CROSSOVER series was introduced last week with the work of Paul Clipson. The first program of Clipson’s work presented eight Super 8 films followed by a second program the next day with a live music performance by Roger Tellier Craig and Bernardino Femminielli. Paul Clipson’s work is mesmerizing to watch. 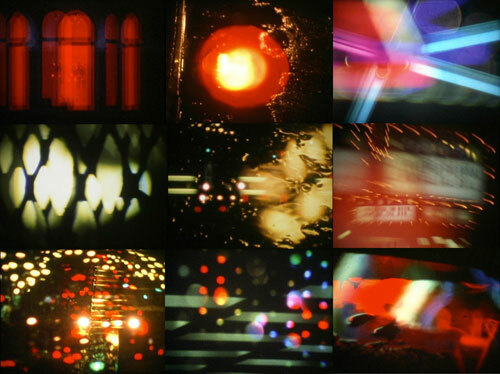 All his films are shot and projected on Super 8, full of beautiful colour, abstract layering, and complex rhythmic movements. My personal highlights from both nights were Clipson’s Light from the Mesa (2010) featuring the music of Barn Owl and Union (2010) a dazzling collage of colour and black and white images of forest landscapes and nocturnal cityscapes woven in layers of time. I am looking forward to the next series in the coming months featuring the work of Ellie Epp, Lewis Klahr, and Daniel Barrow.